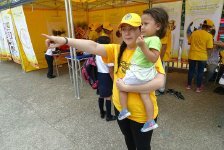 Scientology Volunteer Ministers are working with churches, relief agencies and other nonprofits in Cúcuta, Colombia, to help refugees from Venezuela. Drug-Free Tennessee and the Church of Scientology Nashville organized a World Health Day community fitness fair. The Church provided drug education materials including educators packages to the civic and nonprofit groups attending. 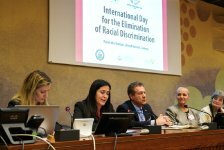 A conference at the United Nations in Geneva on International Day for the Elimination of Racism looked into human rights education as a way to accomplish the purpose of the Universal Declaration of Human Rights. Bringing some happiness to the streets of Hollywood A team of volunteers gathered at the Church of Scientology Celebrity Centre International in Hollywood and set out armed with shovels and bags in the monthly Hollywood Village cleanup. 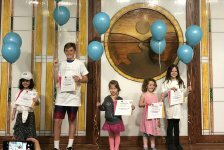 Taking a lesson from The Way to Happiness and putting it into action The Church of Scientology Pasadena awarded commendations to a group of children who organized and carried out a neighborhood cleanup in Old Town. 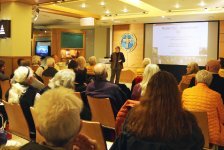 A community open house at the Church of Scientology of Silicon Valley on International Day of Happiness looked into the sad state of happiness in the United States and a simple solution to the problem. 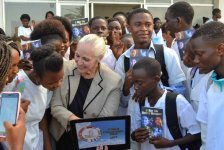 In its first visit to the African nation of Angola, Youth for Human Rights International activated nongovernment organizations, schools and religious groups to raise the bar on human rights through education. The Church of Scientology Nashville observed World Civil Defense Day this year with a CPR and first aid workshop. The Church of Scientology of Washington State hosted a World Civil Defense Day open house highlighting its Volunteer Ministers program, disaster response activities and how to effectively exchange vital information in times of emergency. 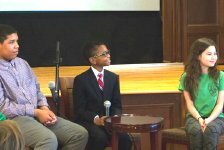 The Church of Scientology Nashville with The Way to Happiness Association of Tennessee observed International Day of Happiness with a special youth presentation from a diverse group of Nashville children. 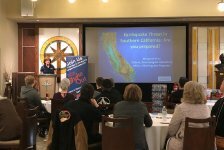 At the opening of the Volunteer Ministers Western U.S. Cavalcade at Chico Civic Center in Northern California, religious groups emphasize the need for long-term help for victims of the November 2018 Camp Fire. Youth for Human Rights International World Educational Tour sets out for the 16th time. The goal: to make human rights a fact by raising awareness and understanding of the Universal Declaration of Human Rights. Scientology Volunteer Ministers reach out with indiscriminate help in Copenhagen’s Nytorv Square ”Der kan gøres noget ved det” (”Something can be done about it”) read the banner on the bright yellow pavilion as it opened February 23 in the heart of Copenhagen.